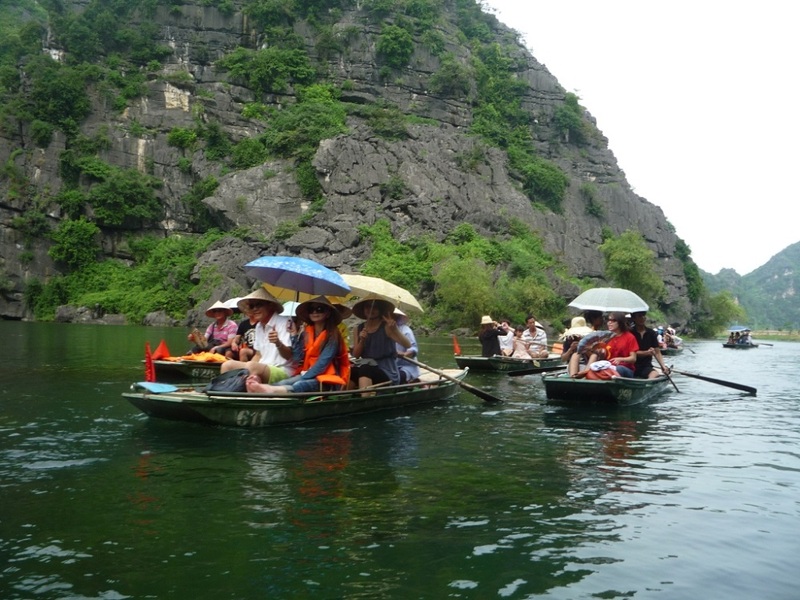 8h00: Private car and guide pick up you at your address and departure to Ninh Binh. About 10:30am arrive at Hoa Lu Ancient Capital. 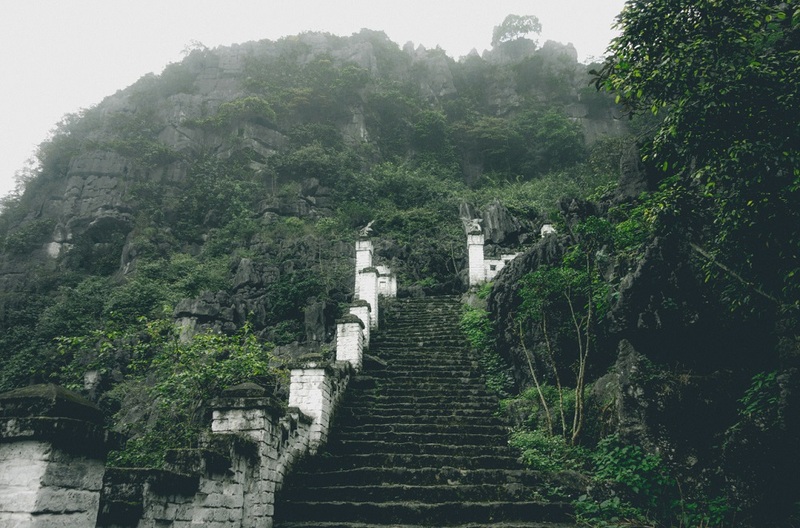 In 968, Dinh Bo Linh declared himself as the King. 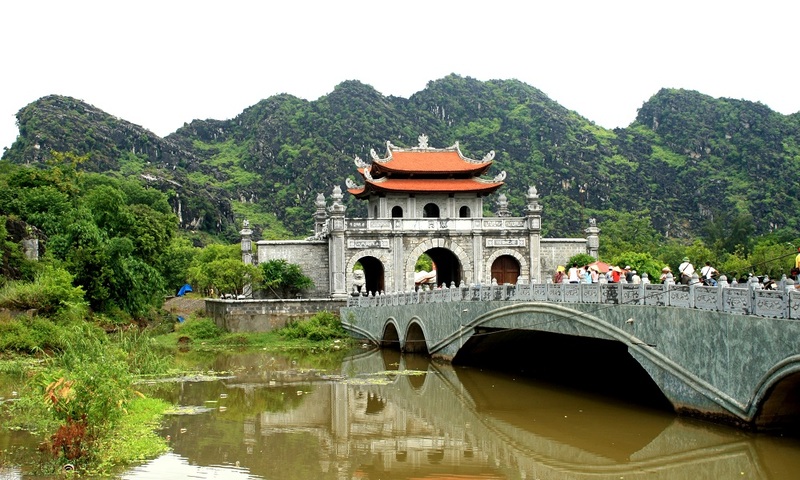 Since then Hoa Lu existed as the capital for the next 41 years (968 – 1009), of which 12 years was under the Dinh dynasty – King Dinh Tien Hoang, the country named Dai Co Viet, and 29 years later was under the Le dynasty – King Le Dai Hanh. 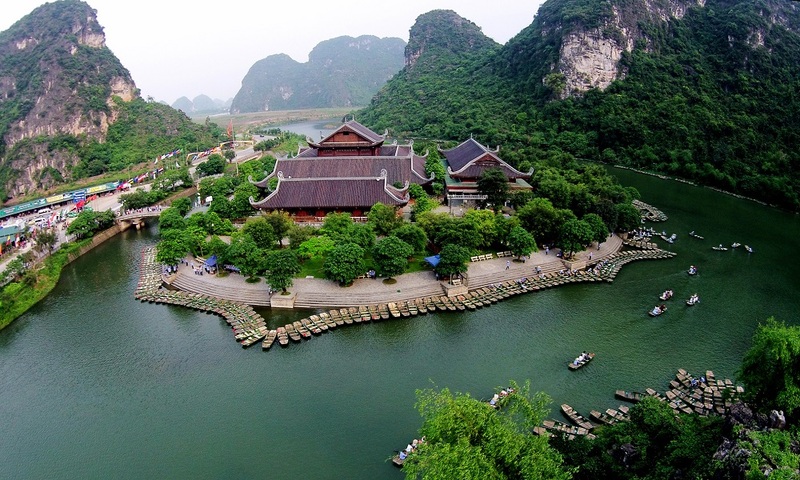 In 1010, King Ly Thai To moved the capital from Hoa Lu to Thang Long – present day Hanoi. Hoa Lu became the old citadel. 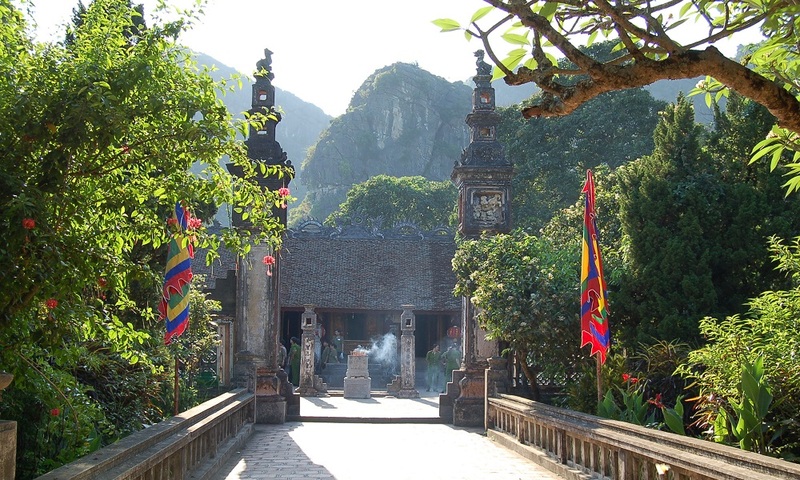 In Hoa Lu there are now 2 temples have been built on the ground of the old royal palace, one is dedicated to King Dinh Tien Hoang, the other is to King Le Dai Hanh. 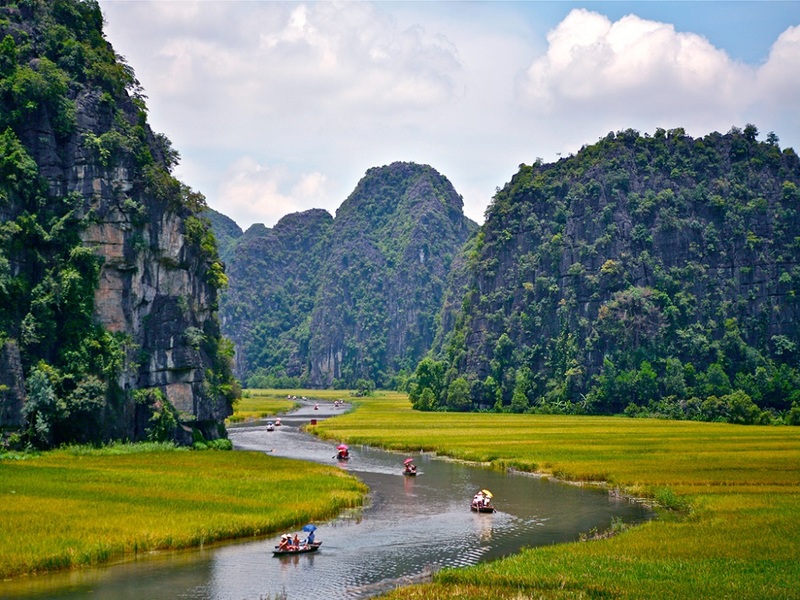 The visit offers a chance to know more about part of feudal dynasties and historical periods in Vietnamese history. 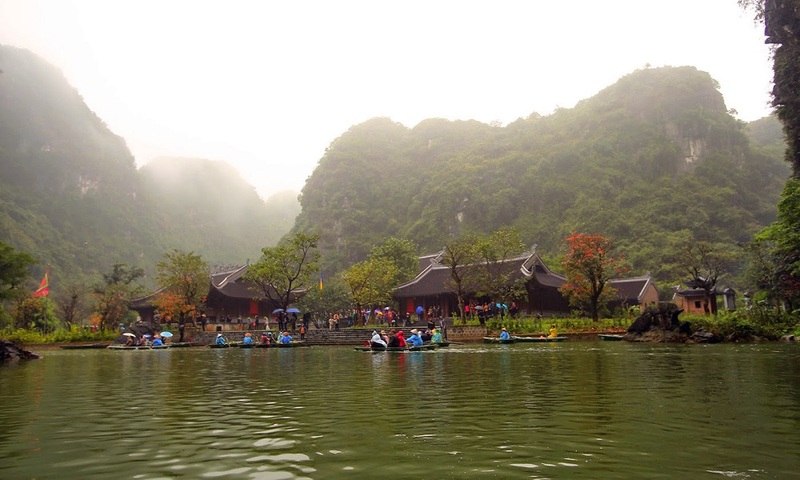 11h30: Leave Hoa Lu to Tam Coc at around 12:00pm. Having lunch in Tam Coc in a local restaurant and enjoy lunch served with goat meat which is famous as the local specialty . 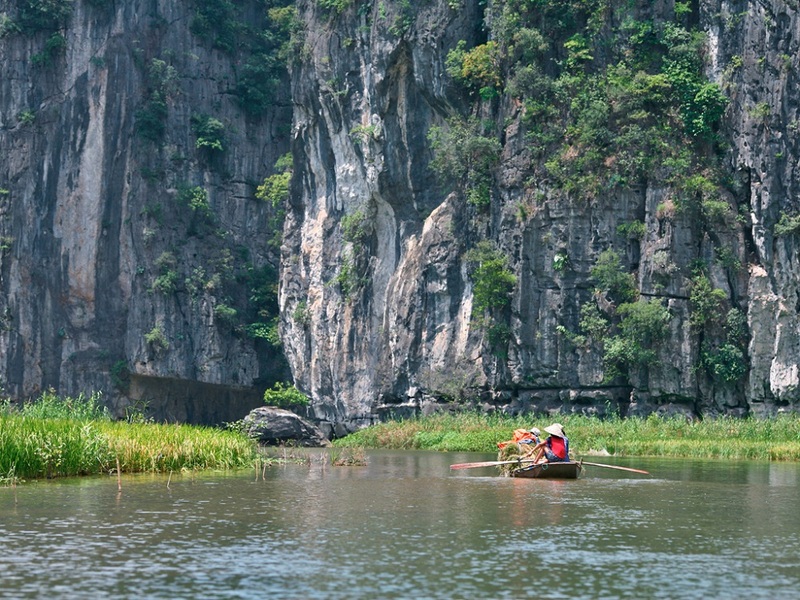 14h30: 5 minute-walk to the boat station and start the 2hour-boat trip to visit Tam Coc. 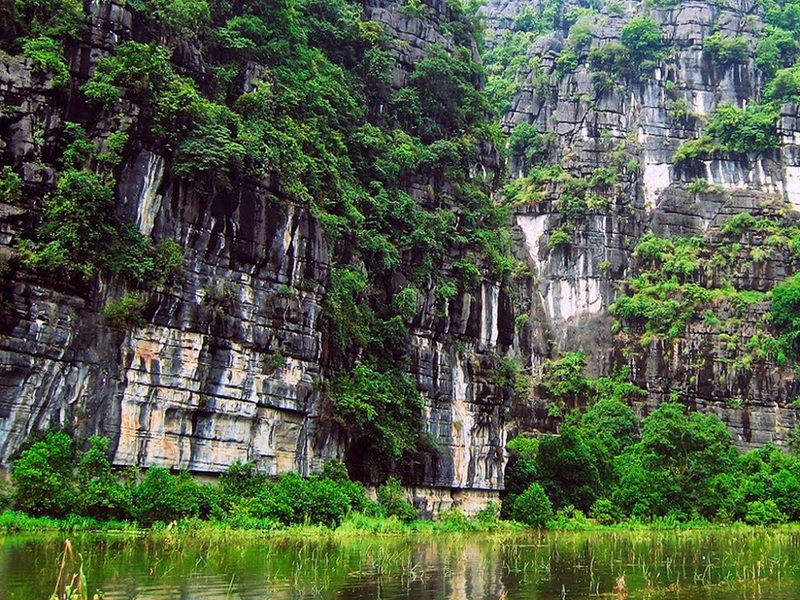 Known as “Halong Bay on land”, Tam Coc are three limestone caves stretching along Ngo Dong river. 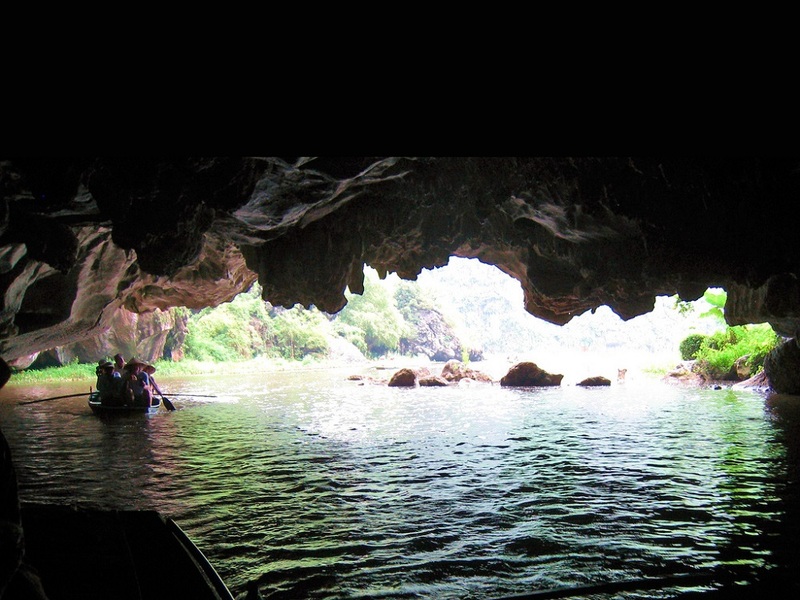 The boat trip is a nice journey along the river with peaceful scenery of limestone mountains, rice paddy and the site of some temples along the way from Hang Ca (first cave) to Hang Hai (second cave) and Hang Ba (third cave). 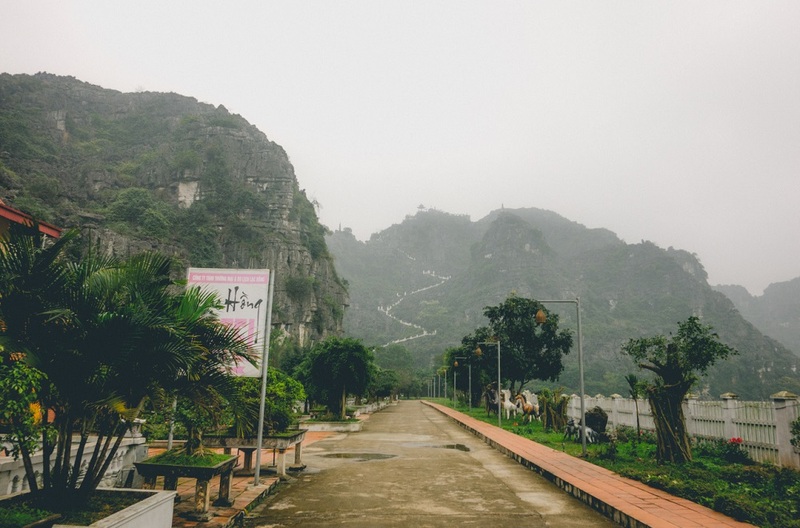 16h00: Departure to hotel, relax, have dinner and over night at hotel in Ninh Binh (Queen hotel Ninh Binh). 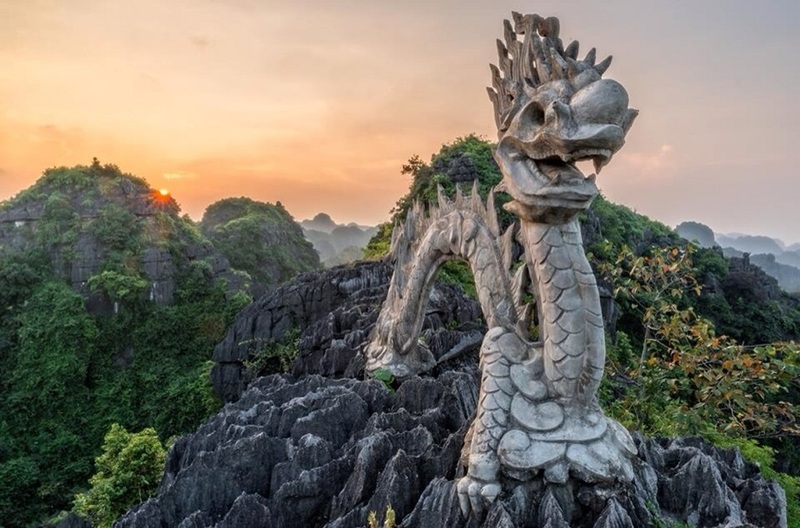 After relax and have breakfast at hotel, we will departure to visit Mua Cave, Mua cave (dancing cave) is near Tam Coc (about 3.5km from Tam Coc).About more than 500 steps to climbing up the mountain, Mua cave is one of the most beautiful place to view in Ninh Binh. 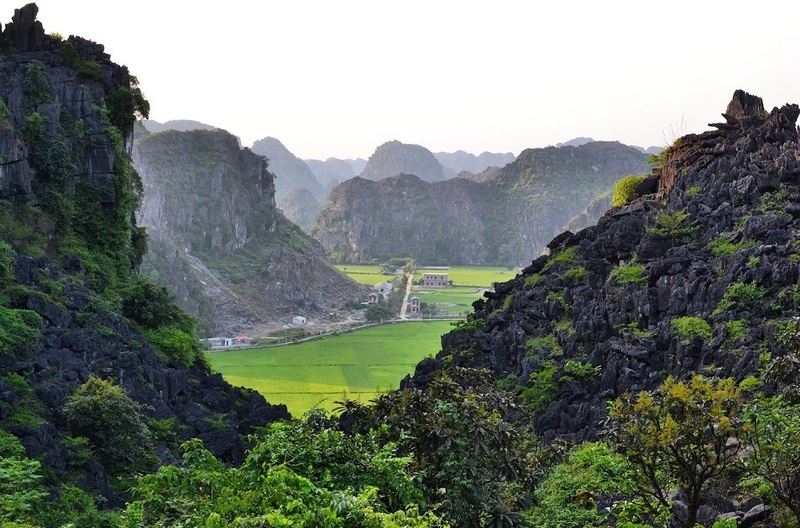 Traveller can see the city far from the standing in front of, Tam Coc in back and the limestone mountain along to the south of Vietnam. The best time to visit there should be sunset or sunrise. When you climb up to mountain like you do your morning excercise or afternoon excercise. It’s very romantic with the lover, don’t forget bring some water or drinks. It’s really interesting when you take some wine or beer. 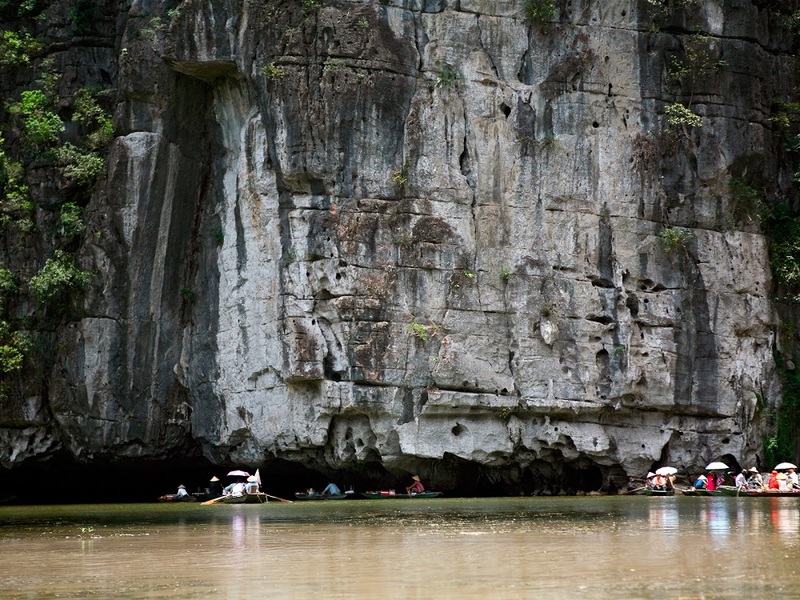 After lunch, we departure Depart to visit Trang an eco-tourism, take boat trip to visit cave complex: Sang Cave, Toi Cave, Ba Giot Cave, Nau Ruou, Sinh Cave, Si Cave…etc 18h30. Trip finish. Private Air conditioned car 7 seats.